1. Wash the rosemary and remove the leaves from the stems. 2. Place rosemary and honey in a heat proof cup or bowl. Pour boiling water over the rosemary and stir until honey is dissolved. Allow to steep for 20 minutes. 3. Strain out rosemary and store in refrigerator for up to one week or freeze into ice cubes for several months. 1. 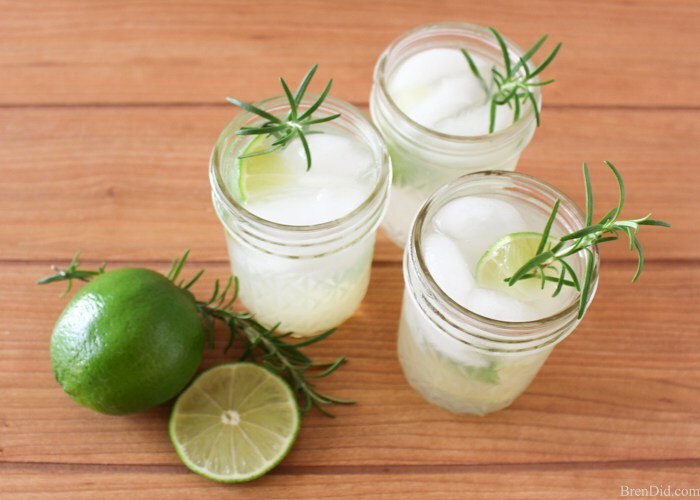 In a short cocktail glass or small Mason jar combine gin, lime juice, and simple syrup. Stir lightly. 2. Top with ½ club soda and ½ cup ice. 3. Garnish with lime and a sprig of fresh rosemary. Pre-heat your oven to 350. Cut your tortillas into strips (mine were about 1” by 3” strips). 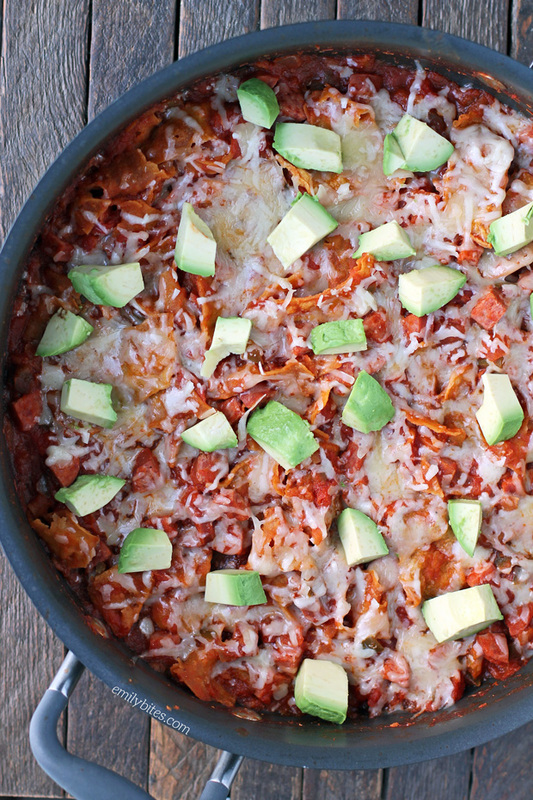 Spread the tortilla strips onto a large baking sheet and lightly mist with cooking spray. Bake for 13-15 minutes until crisp. Set aside. Mist a large skillet with cooking spray and bring over medium heat and add the chopped sausage. Cook, stirring occasionally, for about 5 minutes until the sausage pieces are a bit browned. Remove sausage to a side plate. Keep the skillet over medium heat and add the salsa. Bring to a simmer. Add the broth and stir together. Return to a simmer and simmer uncovered for 2 minutes. Add the browned sausage pieces and stir together. Add the baked tortilla strips and stir until well combined. Return to a simmer and simmer uncovered for about 3 minutes until the tortillas soften and the mixture thickens slightly. Remove from heat and sprinkle with the shredded cheddar while the mixture is still hot Top with the chopped avocado and cilantro if using. Serve with a lime wedge to squeeze over top. 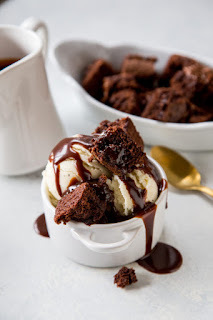 To reheat, remove the lid from the container, and microwave the fudge for 30-45 seconds. Stir the hot fudge to ensure that it is smooth and pourable. If needed, microwave for an additional 15 seconds.